Not So Scrappy Scrap Lap Quilt For Sale Original Karen Platt Design. 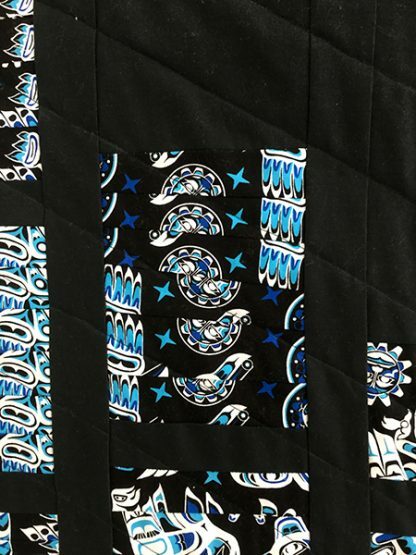 It shows that scraps can be used in an orderly way in modern quilts. 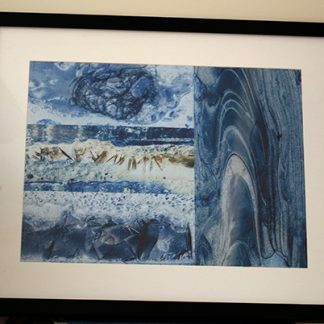 It is double-sided, with front and back featuring different designs. This original handmade design is hand cut, assembled and machine stitched. It is made from an original one-off design. It could also be used a wall hanging. 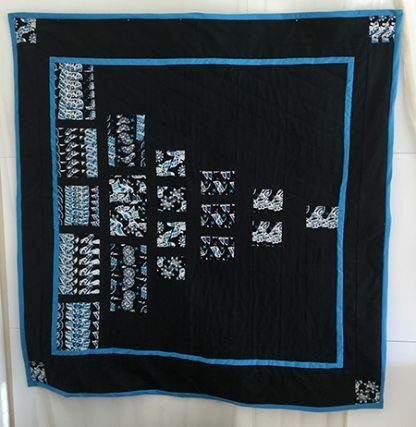 It features North American Indian motifs that have been made into rectangles on the front in ever smaller quantities. 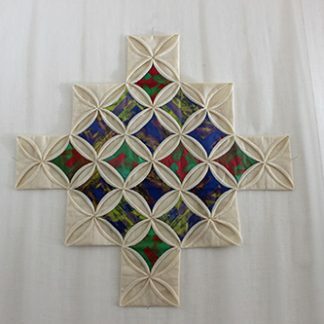 On the back, the quilt features four one block wonder hexagons and squares with a large sample of the original fabric. I designed it to use small pieces of the fabric in a modern design. 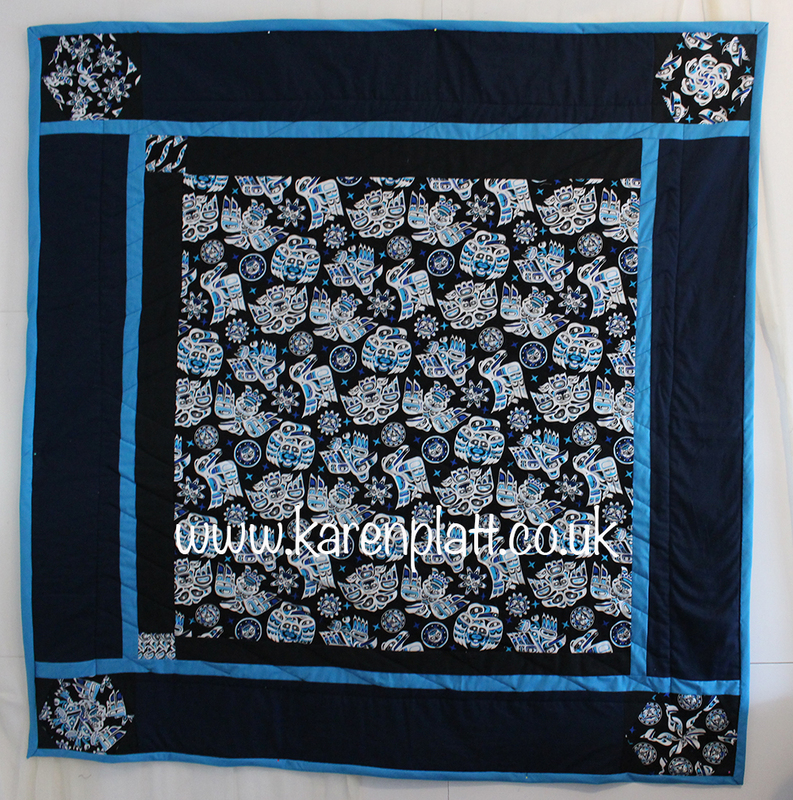 The quilt is bound in turquoise and hand stitched in place to the back. The colours are black, navy, turquoise, blue and white. All fabrics are 100% cotton except the turquoise which is polycotton. The wadding (batting) is also 80/20 cotton/polyester. The thread is 100% cotton. The quilting design is a straight stitch design that I designed to complement the placement of the individual elements of the quilt itself. 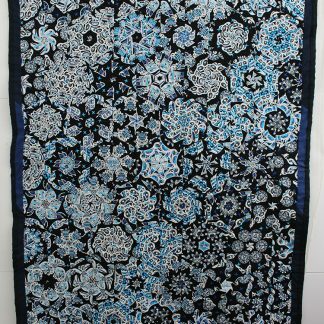 This is a unique quilt that is a one-off original. Measurements: 124 cm squared (almost 49 inches square). There will be a tutorial pattern in the tutorial section (ecourses link) of the website, if you wish to learn how I made this quilt. There is no kit for this design.